As you probably know, we both have a soft spot for icecream. Any chance that we get, we make sure we have a batch of icy poles ready in the freezer to prevent any big icecream binges. Making your own Icypoles on milk means they are much much lower in fat than a shop bought icecream, contain real fruit and you can control the sugar. 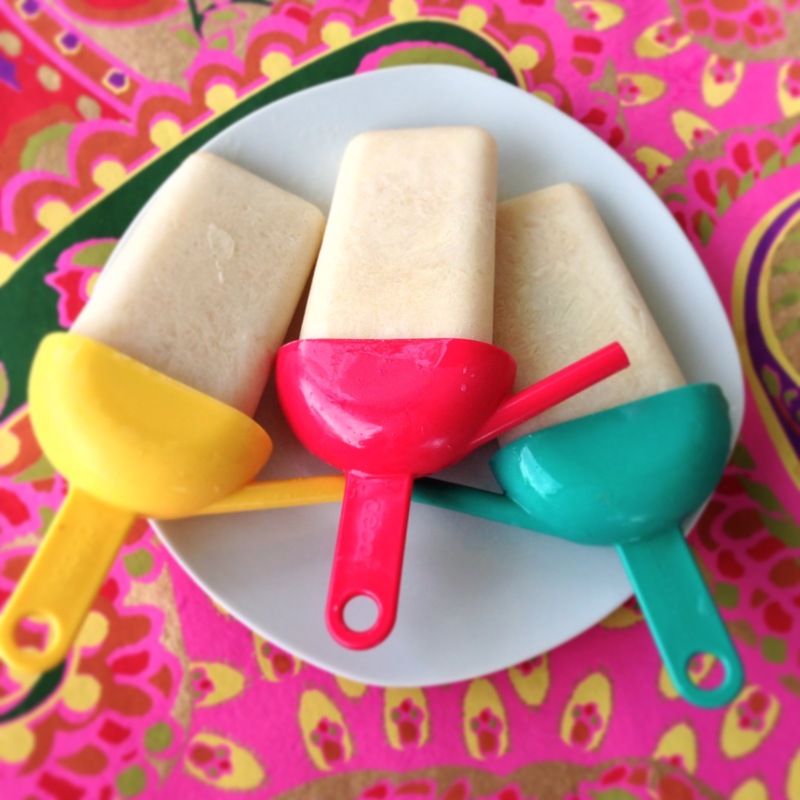 We make a big batch of smoothie to drink, then freeze the rest in icypole moulds. You could simply freeze in one big container and then blend to make a delicious frappe. Pour into icypole moulds to freeze.